With every step you take, every turn of your head, and every time you pick up a pencil, electricity courses through the muscles involved. Electricity acts as both a signal telling your muscles to move and is produced by them when your brain tells them to contract. Before now, seeing or listening to your bioelectricity was often a costly and complex process. That's that's changed, however, thanks to the Backyard Brains Muscle SpikerBox. Using our device you can easily begin to listen to and record your own (or your friends') muscle action potentials, and display them live on your smartphone, tablet, or laptop. It's perfect for education of all ages-nobody is too old to be delighted by spikes! 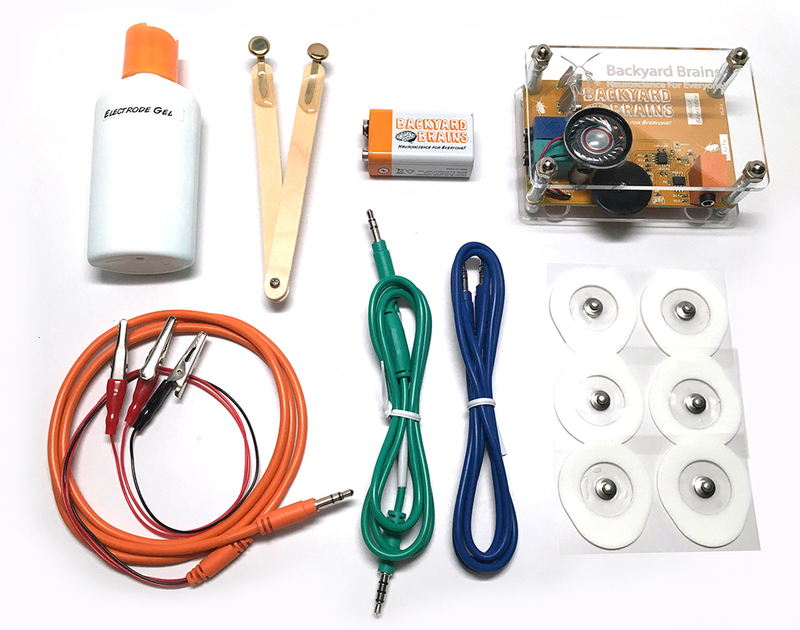 For students interested in experimenting further, it's also fun and great for projects, and neuroscience makes an impressive show at a science fair. 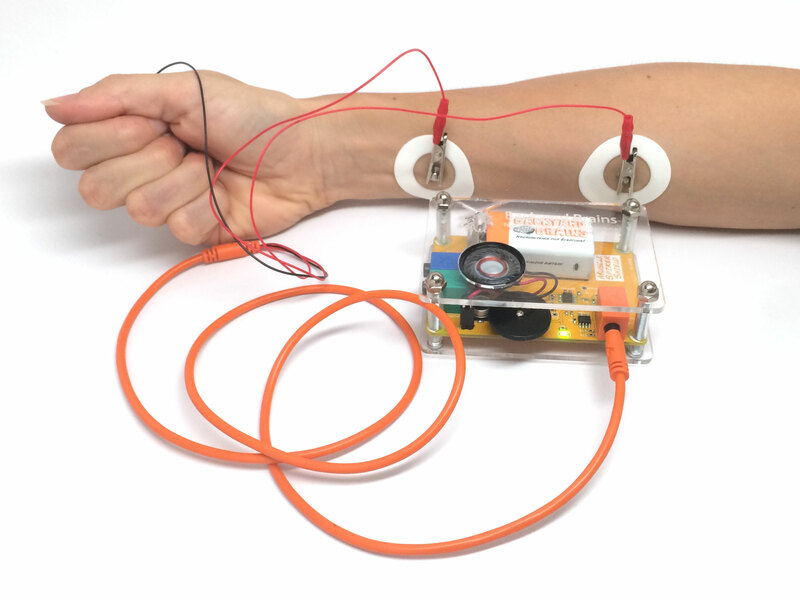 The Muscle Spikerbox can be used to non-invasively detect the electrical activity of human muscles with simple skin surface electrodes. With time you can even identify individual motor units (that's one muscle fiber!) and see single muscle spikes. 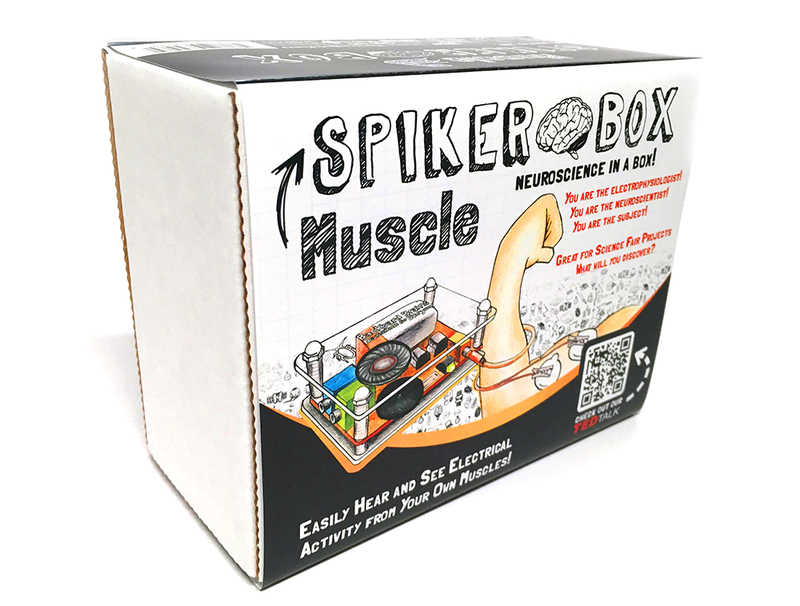 The Muscle Spikerbox comes with 2 types of electrodes. One type is a sticker electrode that is aimed for broad recordings of several muscles in your arm or leg. The second type are our homemade brass tipped popsicle stick electrodes used for small muscles like your eyeblink and finger muscles. This device readily interfaces with your smartphone, tablet, and computer in the same way as our Neuron SpikerBox. 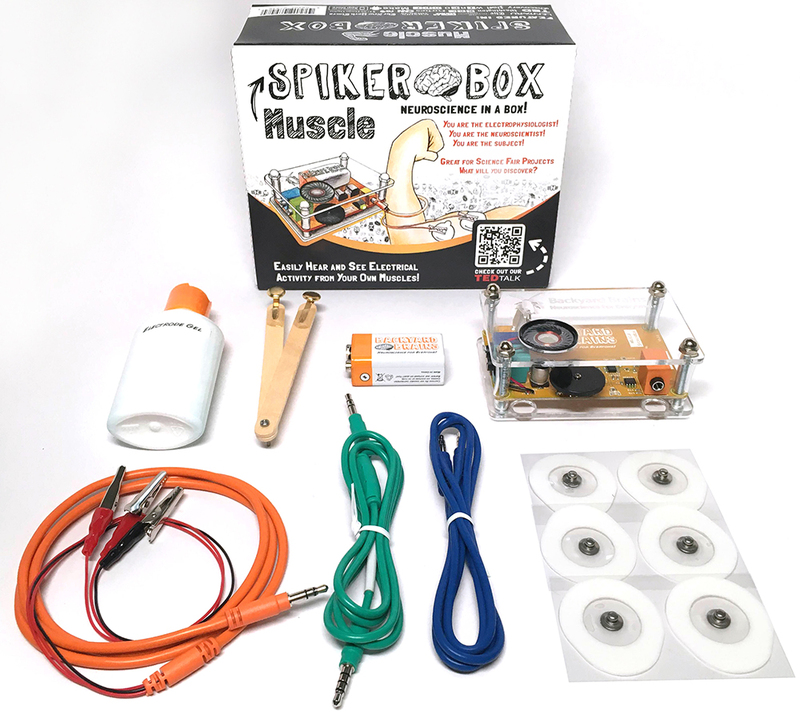 Order your Muscle SpikerBox today and start exploring human electrophysiology!